Keep your bar refrigeration equipment and beer dispensers in top operating condition by replacing worn or broken couplers, distributors, and regulators with new parts. These products are designed to regulate CO2 pressure and liquid flow rate to ensure that your appliances are operating safely and efficiently. Plus, by keeping your equipment working properly, you can rest assured your beer won’t be flat or have excessive foam. Also make sure to check out other great items from Micro Matic. Our selection of couplers, distributors, and regulators includes products that are compatible with refrigeration from various vendors, so you’re sure to find exactly what you need. 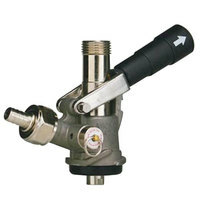 All of the regulators we carry have easy-to-read dials that quickly measure the pressure of your equipment. It’s also convenient that each product is easy to install, allowing you to get your unit up and operating in a time-efficient manner. For other great products for your establishment, check out our bar towels, pint glasses, and draft beer drip trays. 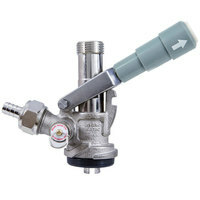 If you're wondering where to buy couplers, distributors, and regulators, we have a large selection of couplers, distributors, and regulators for sale at the lowest prices.